You know what a lenticular image is, even if you’ve never heard the word. Applied to a rippled surface in a certain way, a lenticular image shifts in and out of focus depending on the angle you view it from, sometimes producing an animated effect. 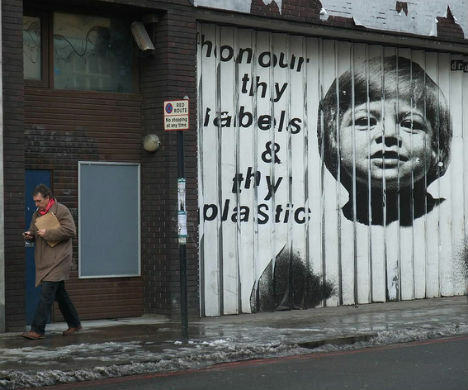 It’s seen on billboards, children’s toys, and even on the streets. 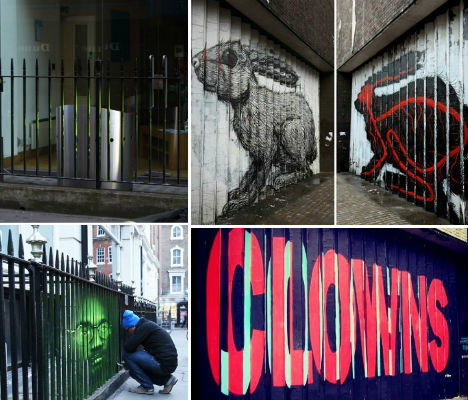 Check out these 18 works of lenticular graffiti, murals and other forms of urban art. 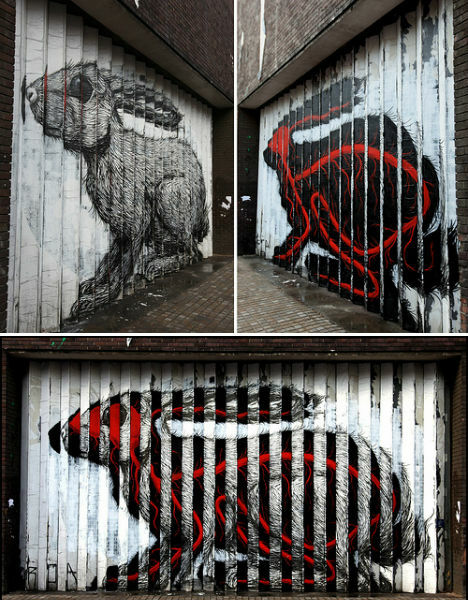 A latticed warehouse door at Corby House on Curtain Road in London provides the ideal setting for lenticular graffiti, and by far the best use of it (so far) was this rabbit by artist ROA. From one angle, you can see a fairly realistic rendering of a furry rabbit, and from the other you get a black silhouette with the rabbit’s veins and arteries showing in bright red. 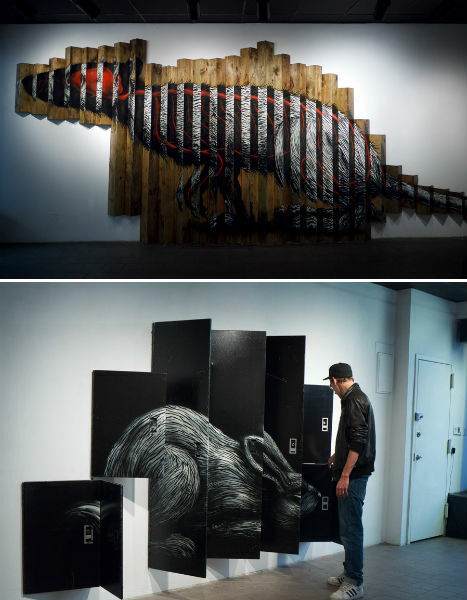 ROA took his lenticular works indoors with a showing at Brooklyn’s Factory Fresh. The works displayed included a rat painted on an arrangement of wooden posts as well as a small rabbit on black doors. 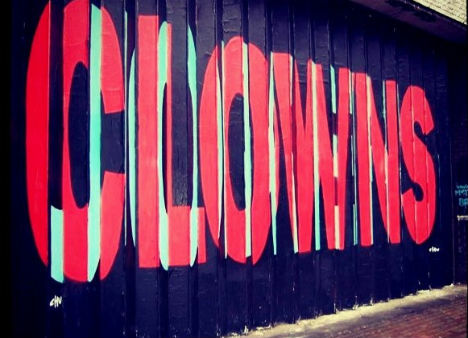 “Clowns to the left of me, jokers to the right, here I am – Stuck in the middle with you.” These lyrics apparently inspired a dual-perspective work by street artist Chu, gracing the same shutters as ROA’s rabbit, above. See a video of the finished work at Chu’s blog. 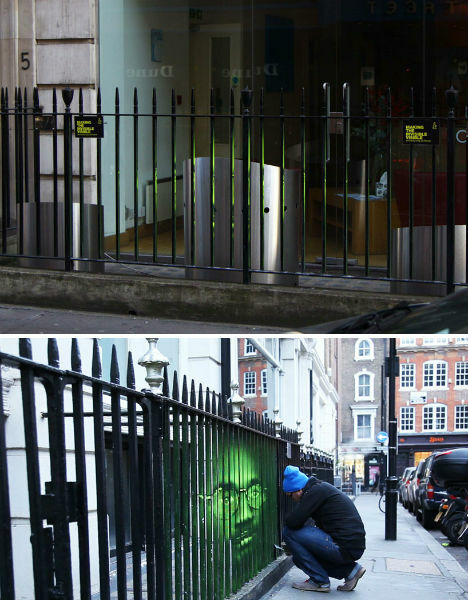 Another artist, Ludo, put his own spin on the spot in 2010. 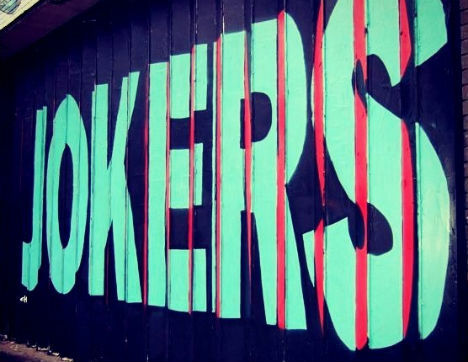 The Paris-based artist creates works in gray and white with splashes of bright acid green, making his work highly recognizable. ROA, who is from Ghent, Belgium, might just be the king of lenticular street art. 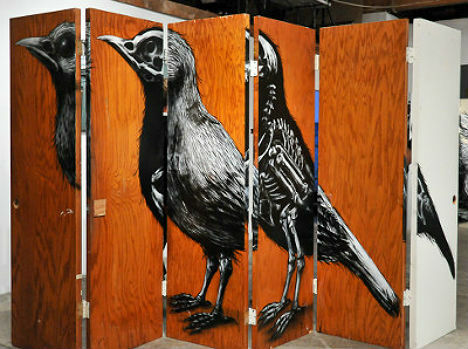 In 2010, he applied his signature animal x-ray style to a hinged room divider at the New Puppy Gallery in Los Angeles. 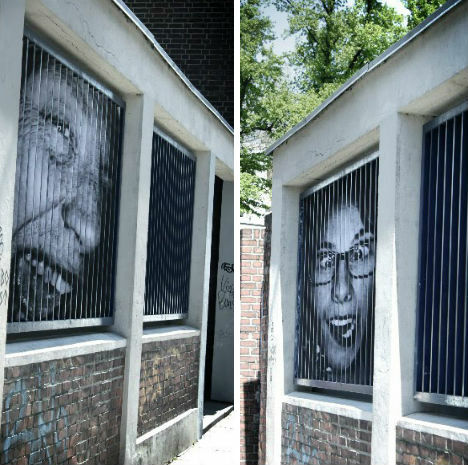 Mentalgassi lightens the mood a little bit from their super-serious Amnesty International project by bringing some funny faces into their lenticular works in Berlin. 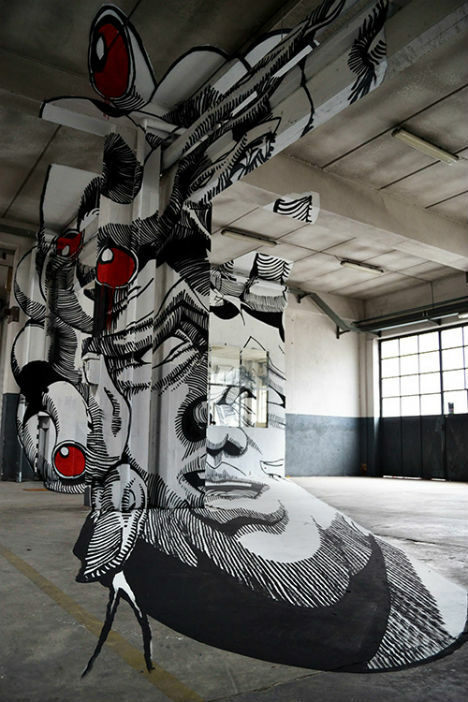 Artists David Ellis, Maya Hayuk, Yuri Shimojo and SASU used a giant custom-made lenticular lens for a ‘live motion’ mural entitled Transforming Beauty. 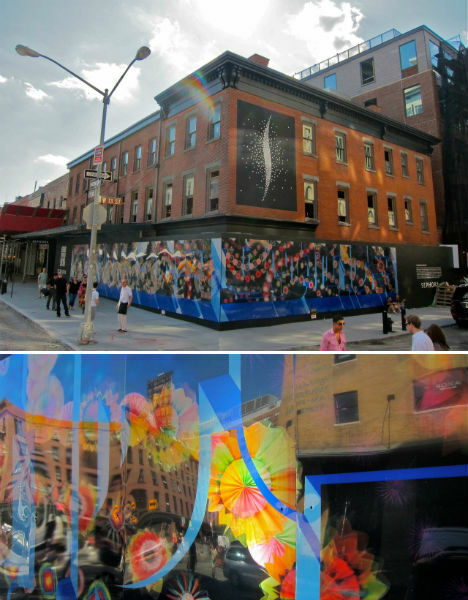 Installed during the construction phase of a new Sephora retail store in Manhattan, the mural is comprised of holographic images that change through the lens as you walk. 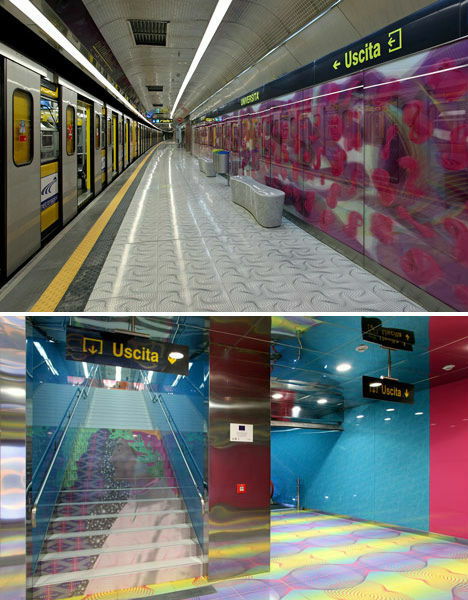 The entire University of Naples metro station in Italy is one big lenticular showcase. 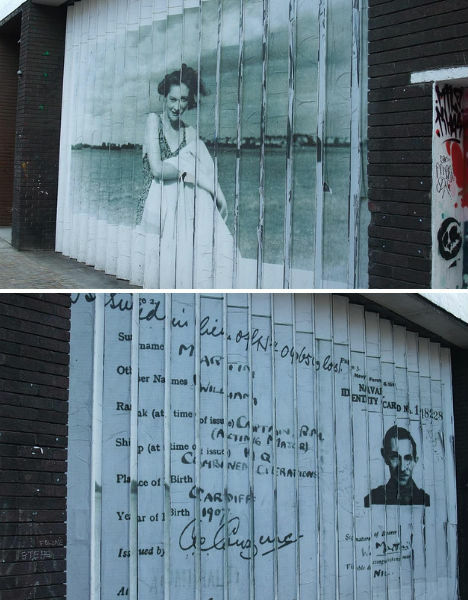 Not only are the walls covered in holographic images seen through lenticular lenses, but the stairs feature images of one of Italy’s most famous historic figures, Dante Aligheri, and his love Beatrice. The effects, which were designed by New York-based Karim Rashid, are colorful and triply. 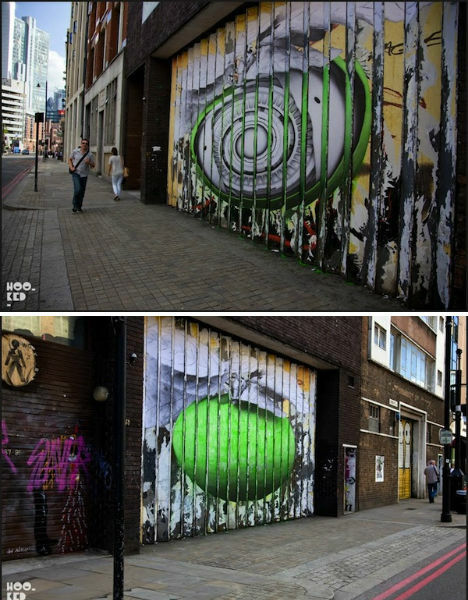 This lenticular street mural was spotted by a photographer in Miami. Got the artist ID? Let us know. This one isn’t lenticular, but it is an incredible optical illusion. 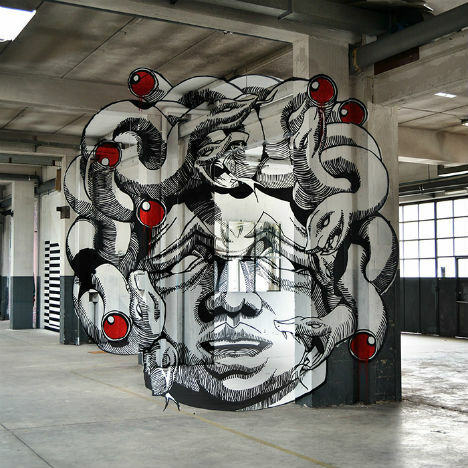 Artists Ninja1 and Mach505 create a terrifying – and awesome – 3D vision of Medusa using various surfaces in a factory/urban lab. 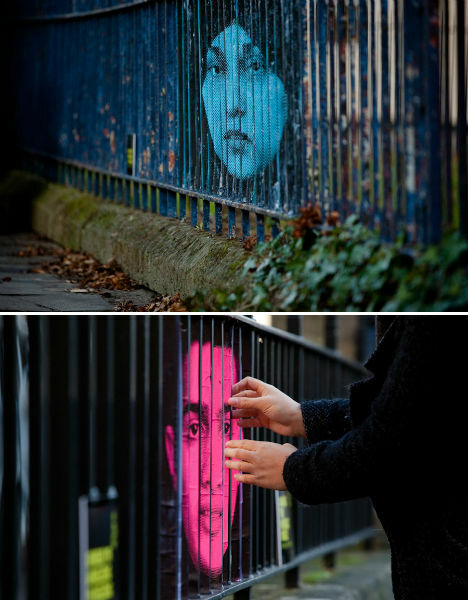 Check out more optical illusion graffiti.